Young drivers are often in the spotlight for reckless or distracted driving, pictured chatting or texting on their mobile phones. But they’re not the only ones who are distracted by the lure of the smartphone; a new study reveals that middle-aged drivers are picking up the phone to talk about work. It seems the older we get, the more work pressure we feel. New research published in the Journal of Transport & Health shows that middle-aged drivers are at higher risk of crashes because they feel pressure to answer calls from work. The research reveals that most drivers admit to using their cellphones regularly while driving, even with children as passengers in the car. “One of the things we were worried about in the 30-64 age group was whether they would use their phones while driving as frequently as the teenagers and young adults did, especially with kids in the car,” said Dr. Linda Hill, Clinical Professor in the Department of Family Medicine and Public Health at the University of California, San Diego, and a co-author of the study. More than one in four car accidents are caused by cellphone use, according to the National Safety Council. A driver’s crash risk is eight times higher if they are texting on a cellphone, and despite seeming safe, talking hands-free makes drivers four times more likely to be involved in a crash. Previous studies on distracted driving have mainly focused on teenagers and young people, and programs targeting this group have decreased their number of crashes. Although older adults often use their cellphones while driving too, there is a shortage of studies on this age group. The researchers modified a survey they had done previously with college students to find out more about the driving behaviors of middle-aged adults (30-64 years old). Of the 715 people who completed the survey, 75 percent were women and their average age was 46. The survey asked participants questions about their driving behaviors and cell phone use, such as whether they text at red lights or in traffic, how often they use cellphones (handheld or hands-free), and whether they use a cellphone while driving with children in the car. The results revealed that three out of four participants talk on cellphones hands-free, and almost 90 percent of them consider themselves capable or very capable drivers while doing so. Less than 30 percent of participants knew that talking on a hands-free phone increases the risk of crashing to the same degree as driving at the legal alcohol limit. The researchers were surprised to find that the presence of children in the car did not affect drivers’ behavior. Drivers continued to use their mobile phones with children as passengers, even with older children that were more likely to copy their driving behavior. “The thing about middle-aged drivers is their passengers tend to be minors, and there’s an issue of modeling if the adults are teaching them how to drive,” said Dr. Hill. More than one-third of participants said they felt pressured to answer work calls while driving, suggesting that there is an opportunity to reduce distracted driving by working with companies to educate both the employers and their employees. Dr. Hill and her colleagues are now working with companies to teach employees about the risks associated with distracted driving, and show them ways to avoid using their phones while driving. Mobile phones aren’t the only distraction to drivers; feeling drowsy is a major cause of car crashes. Knowing they are drowsy could help drivers stay alert and reduce their risk of crashing. In a new study published in Accident Analysis & Prevention, researchers used special glasses to monitor drivers’ blinking and alert them to their drowsiness via a dashboard display. The results revealed that when drivers are alerted to their drowsiness, they are less drowsy and more alert, therefore reducing their risk of crashing. The team took the information from the survey and used it to design an intervention, funded by the California Office for Traffic Safety. By working with companies, the team has trained almost 7,000 employees to reduce distracted driving since the survey. So far, the results have been positive: a sample of employees who have taken part in a one-hour class reported being less likely to text, more likely to put their phones in the trunk and more likely to ask people not to call while they’re driving. 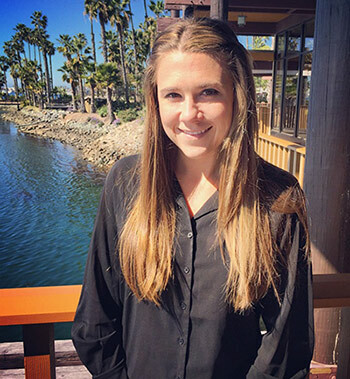 Lead author Jessa Engelberg is a PhD candidate in the University of California, San Diego, and San Diego State University Joint Doctoral Program in Public Health in the Health Behavior track. Her research interests are related to the intersection of injury prevention and the built environment, specifically related to physical activity. Her dissertation is exploring moderators of the relation between the safety of the built environment and physical activity, using the ecological model as a basis. She been a part of the UCSD Training, Research and Education for Driving Safety (TREDS) under Dr. Linda Hill’s mentorship for four years, and also works with Dr. James Sallis conducting physical activity and built environment research. Dr. Hill is a Clinical Professor in the Department of Family Medicine and Public Health at The University of California, San Diego, and Director of the UCSD/San Diego State University General Preventive Medicine Residency. 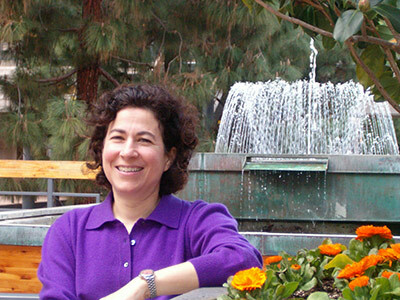 San Diego Family Care, a federal nonprofit community health center, is the site of her clinical activities, as Medical Director from 1980 to 2001, and Senior Staff Physician since 2001. She is the Medical Director of the UCSD Training, Research and Education for Driving Safety and Co-Director of the UCSD Injury Epidemiology and Prevention Research Center. She is engaged in prevention research and teaching with current and past support from the National Institutes of Health, the California Office of Traffic Safety, Robert Wood Johnson, American Cancer Society, and Health Services Resource Administration, and the AAA Foundation for Driving Safety, including research in injury prevention, obesity, decision making, compliance, physician training, yoga and refugee health. After a few accidents, Lucy Goodchild van Hilten discovered that she’s a much better writer than a scientist. Following an MSc in the History of Science, Medicine and Technology at Imperial College London, she became Assistant Editor of Microbiology Today. A stint in the press office at Imperial saw her stories on the front pages, and she moved to Amsterdam to work at Elsevier as Senior Marketing Communications Manager for Life Sciences. 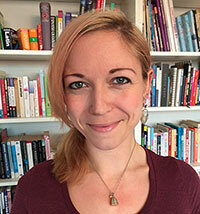 She’s now a freelance writer at Tell Lucy. Tweet her @LucyGoodchild.